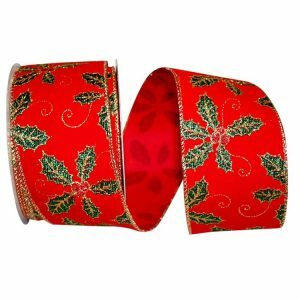 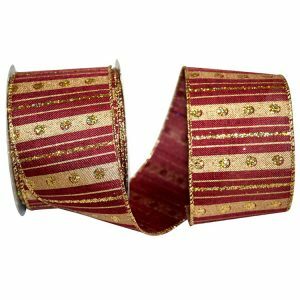 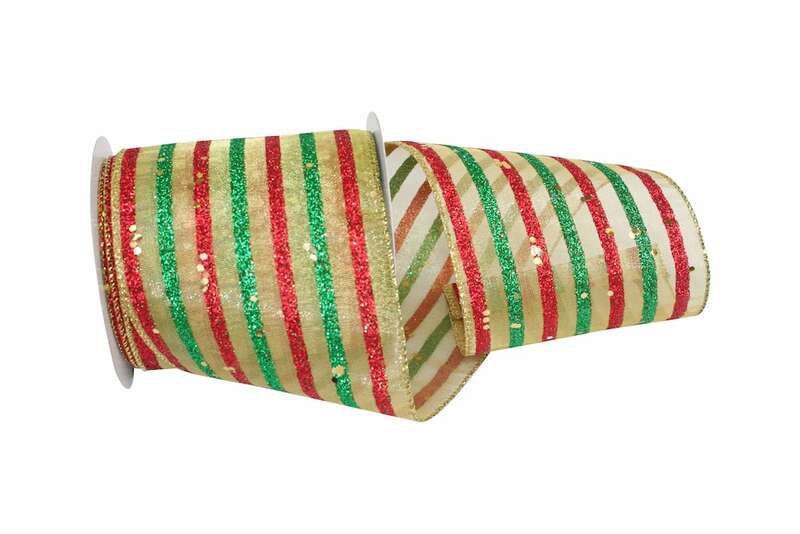 This Bright & Vibrant Gold Sheer Ribbon with Red & Green glittering stripes is a holiday must-have and will bring dazzle to your holiday decorating! 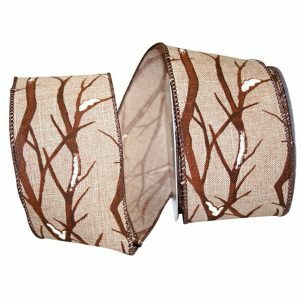 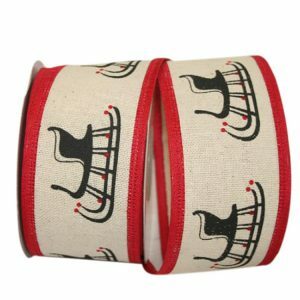 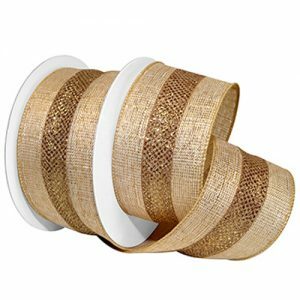 Karaboo Ribbons carries a variety of unique Stripe Sheer Ribbons and trims for any season. 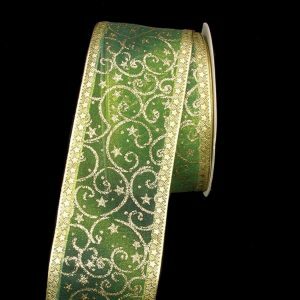 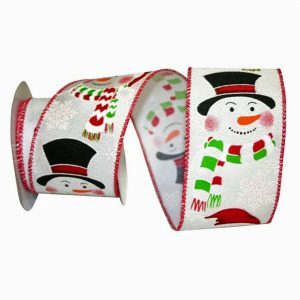 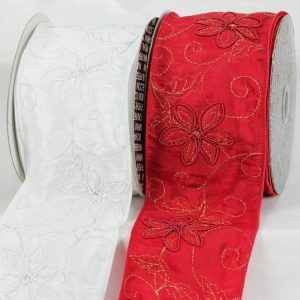 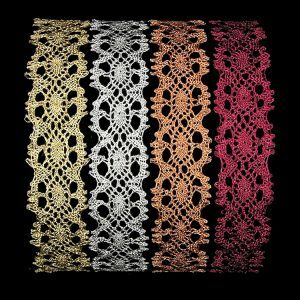 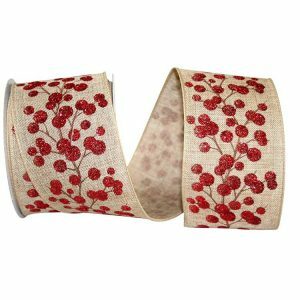 Browse our huge selection of wholesale Decorative Sheer Ribbons and we’re sure you’ll be impressed!